Pictured: Clifton Beach local Simon Kay never expected a diagnosis of haemochromatosis. AS a young man, Simon Kay liked to donate blood. His father had done it, and with another family member working as a paramedic, it just seemed like a good way to give back. He kept it up for about a decade but stopped after a diagnosis of supraventricular tachycardia (SVT). The condition involves episodes where a person’s heartbeat speeds up due to disruptions to the heart’s electrical impulses. People with SVT can also experience low levels of ferritin – the protein that helps our bodies store iron – and so when Simon went to a GP appointment, his doctor sent him off for a blood test to check. The result was unexpected, to say the least. Simon’s ferritin levels were high, not low, and after undergoing a few more tests, he was diagnosed with haemochromatosis. People with haemochromatosis absorb too much iron from their food, causing an internal build up that can lead to organ damage. 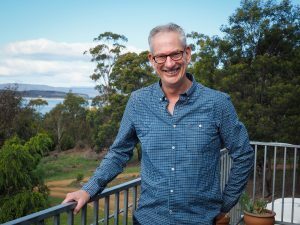 Simon’s GP, Dr David Knowles from Eastern Shore Doctors at Howrah, says the condition can contribute to serious health complications such as liver impairment, heart disease and diabetes. The Pathway was consulted by more than 270 other health practitioners between November 2016 and March 2018. “Ferritin is not a perfect test, so this pathway is really useful,” David says. You can read the extended article and other health features in the latest issue of our Primary Health Matters magazine here.